Oil on Linen. 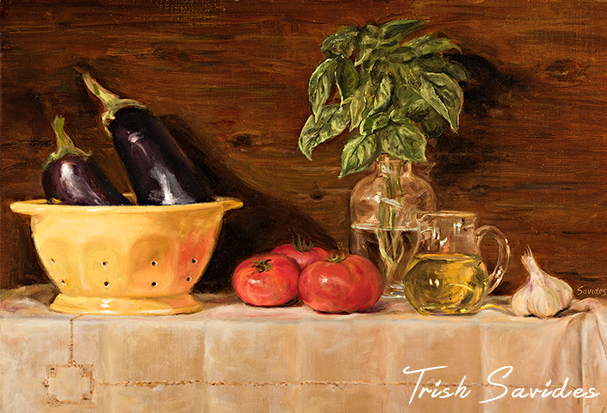 This painting is created using vegetables collected from my summer New England Garden in Connecticut. I've arranged some items to make Sautéed Eggplant minus the Salt and Pepper...oh so simple!